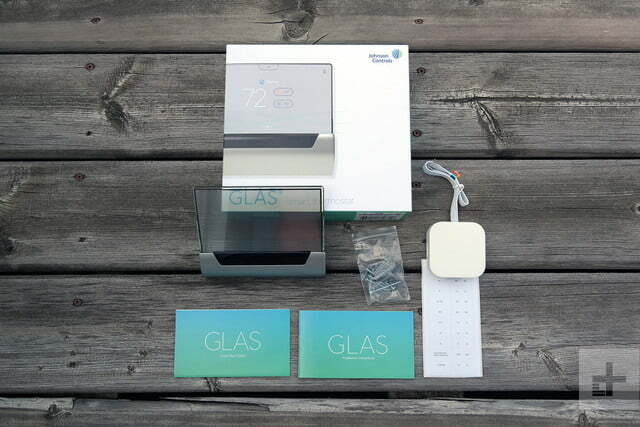 GLAS is stunning, but can’t quite deliver the performance to justify its premium. While Amazon Alexa and the Google Assistant continue to build ubiquity in homes across the globe, spare a thought for Microsoft’s Cortana. While in PCs in the millions, when it comes to other hardware, Cortana’s most notable deployment remains Master Chief’s helmet. Last year’s Harmon Kardon Invoke was a solid debut that failed to gain traction in the marketplace, and since then, crickets. 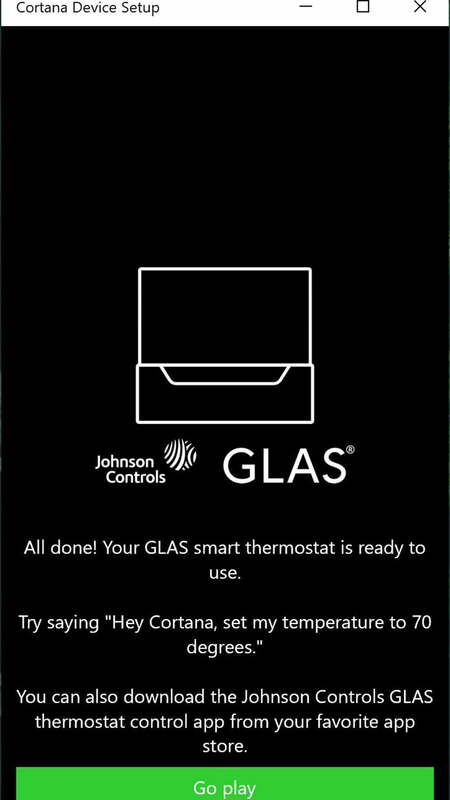 So, it was somewhat of a surprise when Johnson Controls announced that its new GLAS smart thermostat would pack Microsoft’s voice assistant. 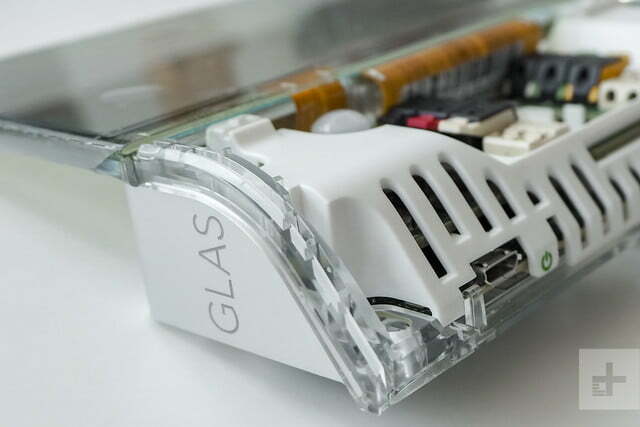 While GLAS also supports Amazon Alexa and Google Assistant (you can be sure the inventors of the electric room thermostat aren’t going to ignore two thriving ecosystems) the partnership with Microsoft runs deep. 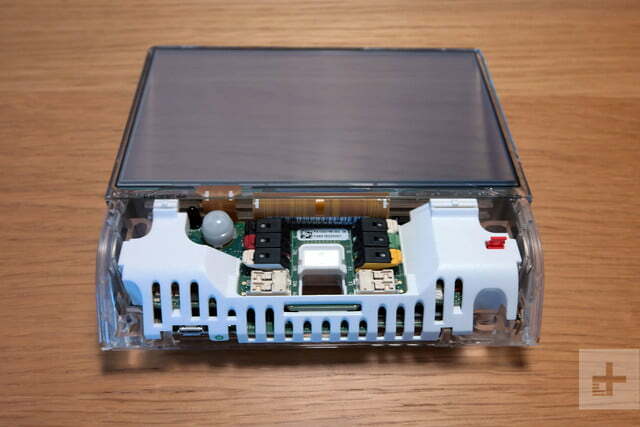 Built on the versatile Qualcomm Snapdragon 410E embedded platform, GLAS runs on Windows IOT Core with the Microsoft Azure cloud providing back-end infrastructure. A recipe to make Microsoft fans salivate, for sure, but at $319, it’s pricier than both the Nest and Ecobee 4, both leading contenders in an increasingly competitive market. 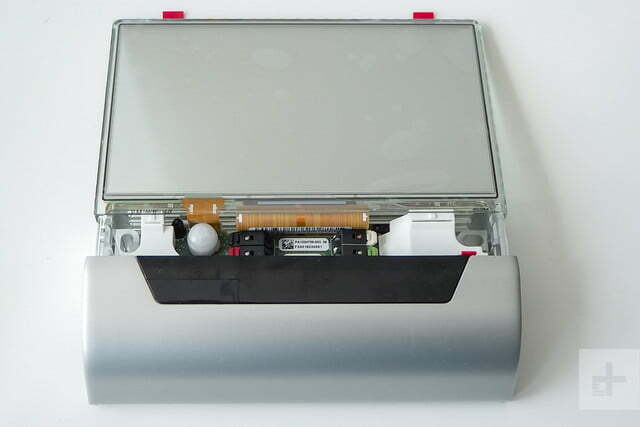 The smart thermostat – reinvented? 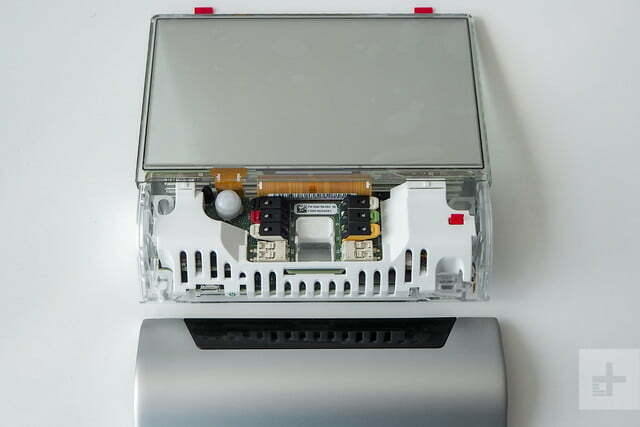 Even a brief glance at GLAS will tell you it’s a brave attempt to reinvent the smart thermostat. A gorgeous, five-inch translucent OLED touchscreen sits atop an elegant silver base, demonstrating beauty as well as brains. 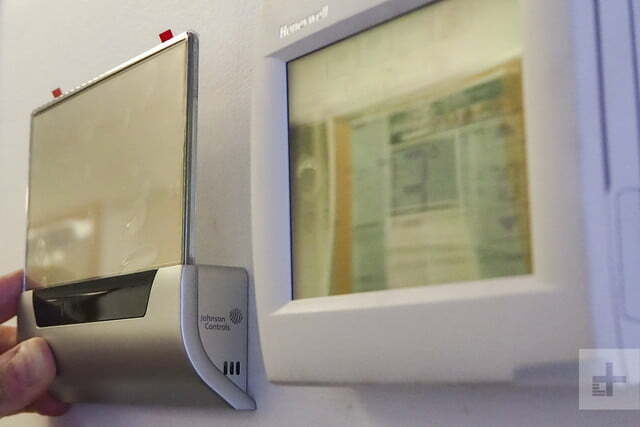 More pragmatically, it gives the device a better canvas for communication and control than most thermostats, so you can look forward more informative features, such as indoor/outdoor air quality monitoring alongside easier scheduling and performance monitoring. 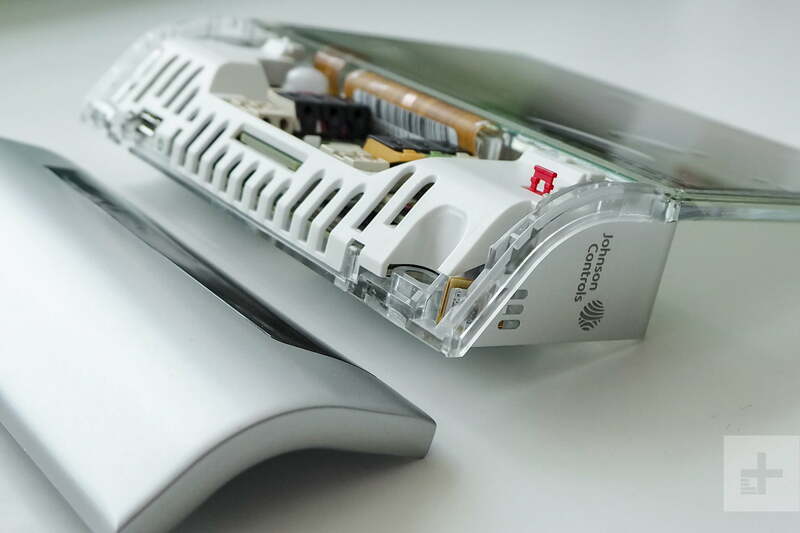 While the touchscreen is deservedly the hero, let’s also highlight the brilliant job Johnson Controls has done cramming all of GLAS’ electronics into its compact, 5.6-inch base. While the overall aesthetic doesn’t quite hit the heights of Nest’s iconic design, the stylish and elegant GLAS comes very close. Thermostat installation is rarely a quick job (even for seasoned smart home reviewers), so you’ll want to spend some time with the comprehensive installation guide included in the box, which offers step-by-step instructions and a multitude of wiring diagrams to support more complex setups. Alternatively, you can take advantage of an approved installer network to do the job on your behalf. To date, Cortana’s most notable deployment remains Master Chief’s helmet. 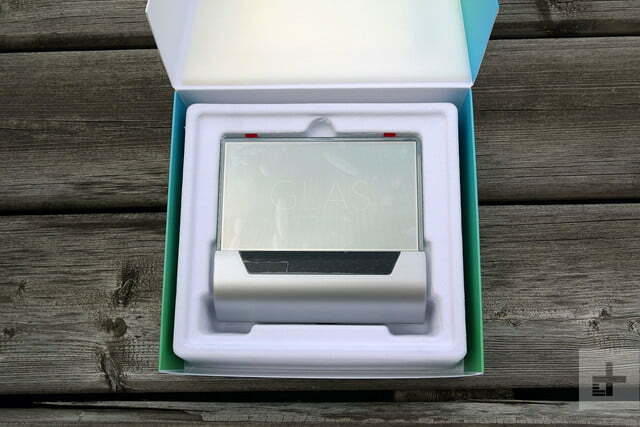 GLAS arrives with screws and wall anchors and an optional paintable back plate to hide old fixing points and messy walls. 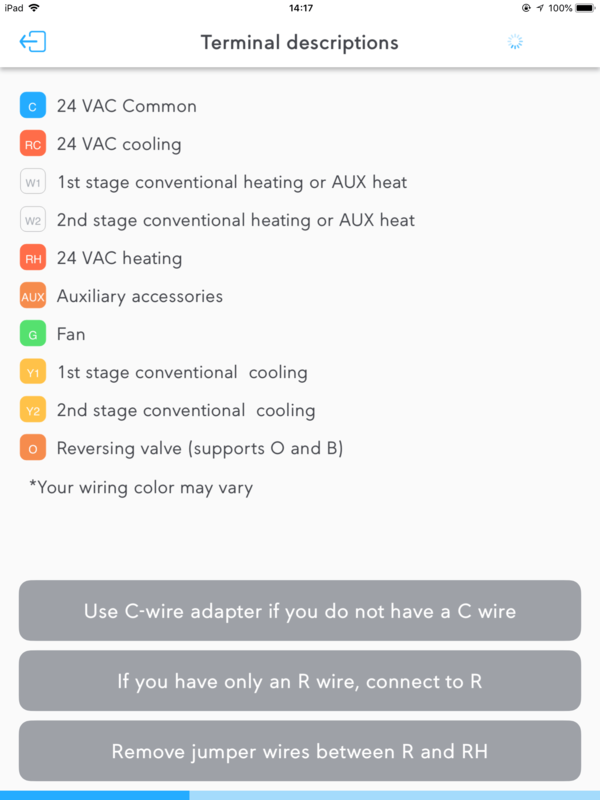 It’s worth noting that, unlike Nest, GLAS does require a C (common) wire connection. An adapter is included in the box for heating systems that lack this connection – be sure to check the online compatibility checker for more details. While we swooned over GLAS’ compact form factor and translucent screen, the design results in a less forgiving installation than Nest and other smart thermostats. Wiring is routed to the device’s base (rather than a central position on other devices), so without rewiring, GLAS may well end up in a higher position on your wall than your existing controller. 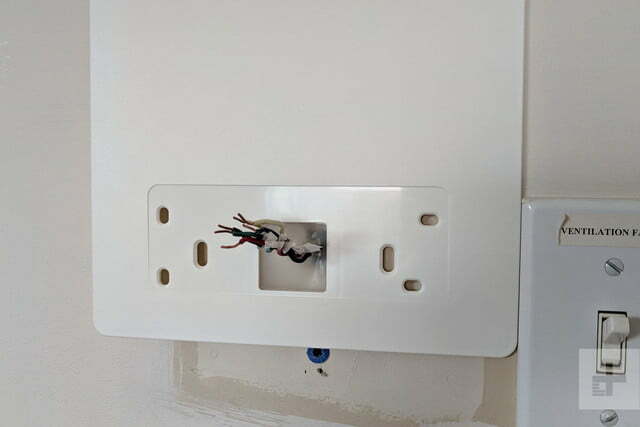 It’s also likely that you’ll need to drill new screw holes and, unless you use the back plate, the mounting points for your old thermostat will be on show post-install. In most situations, we’d expect walls to require patching and redecoration work. 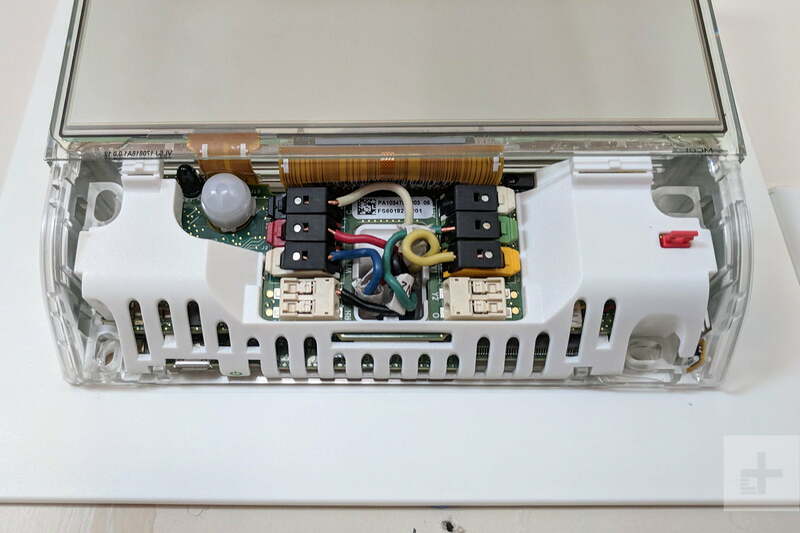 Inside the device, there’s not a great deal of room to wire-up, and while GLAS includes convenient, press-down connectors, labelling is small, and pressing stiff HVAC wiring into the terminals can be tricky. Let’s be clear – installation isn’t overly difficult, and you can get a great result, but there’s more effort required with GLAS than with competitor devices. 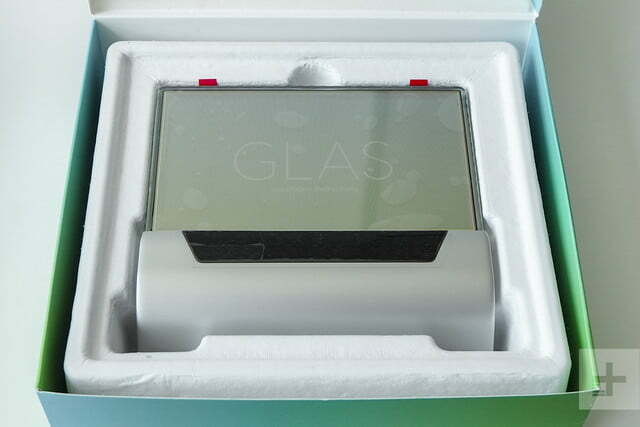 Once installed and powered up, GLAS gets to show off that OLED screen, which is both bright and colorful. 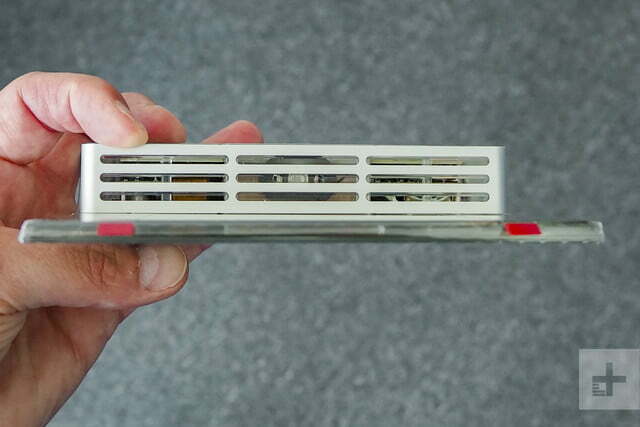 An integrated proximity sensor fires it up as you approach. While you won’t experience the insanely-high PPIs you’ll find on the latest smartphones, the thermostat’s display is clear and crisp enough to read at distance, while viewing angles are also more generous than we expected. As you’d wish for any OLED screen, the display automatically turns off when not in use, to prevent burn-in. 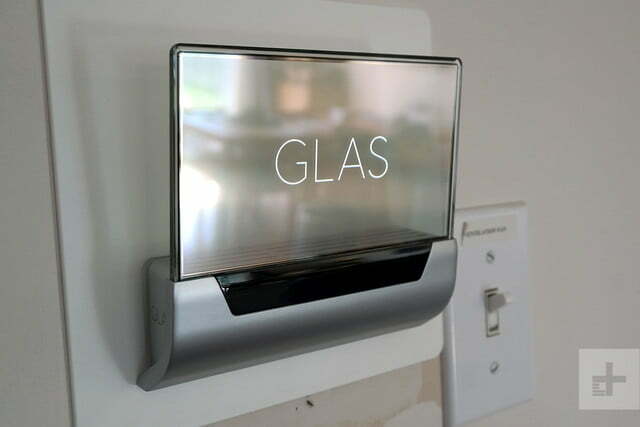 Even a brief glance at GLAS will tell you it’s a brave attempt to reinvent the smart thermostat. The additional real estate provided by the touchscreen allows you to tap through the configuration using the device. 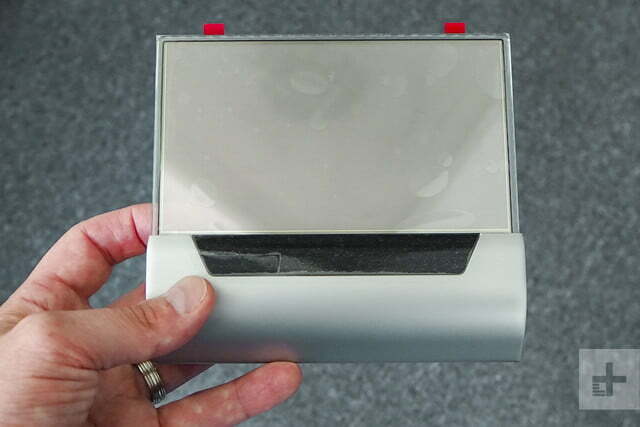 We found the screen to be responsive throughout, without the need for heavy tapping. However, you should always have a microfiber cloth on hand to wipe away the inevitable smudges. 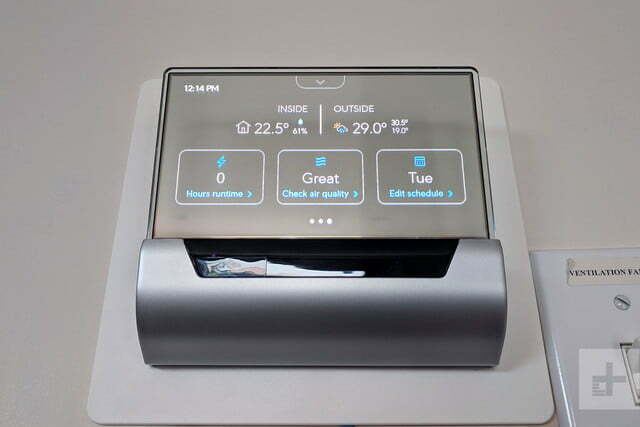 Your first few minutes with GLAS will be spent walking through an automated test of the system’s HVAC controls, connecting the thermostat to your Wi-Fi network and personalizing the device with a basic heating schedule. It’s a simple and friendly introduction to life with GLAS. 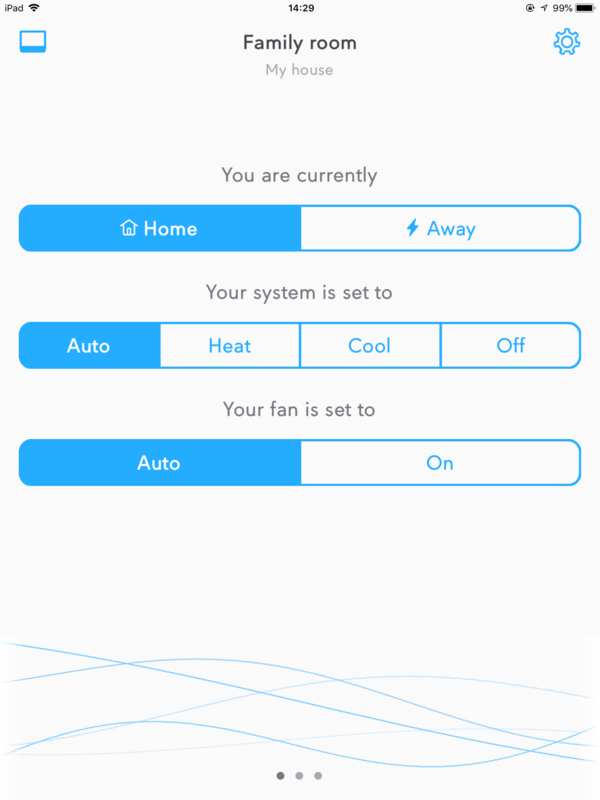 Touchscreen device controls are reasonably simple: Swipe right to change basic settings (such as switching between Home and Away, or Heat and Cool) and left to view environmental reports including outside temperature, air quality, energy saving statistics, and your schedule. If you wish, you can dive into detailed settings using the touchscreen, but you may prefer to use companion apps available for iOS and Android. 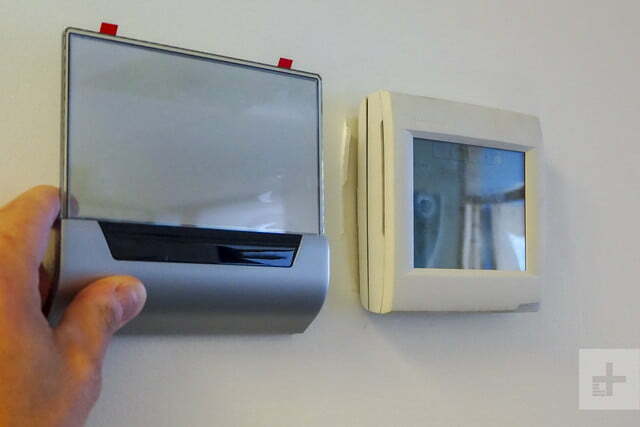 They can be used from the outset for interactive installation guidance, or you can choose to pair a mobile device with your thermostat once installed. 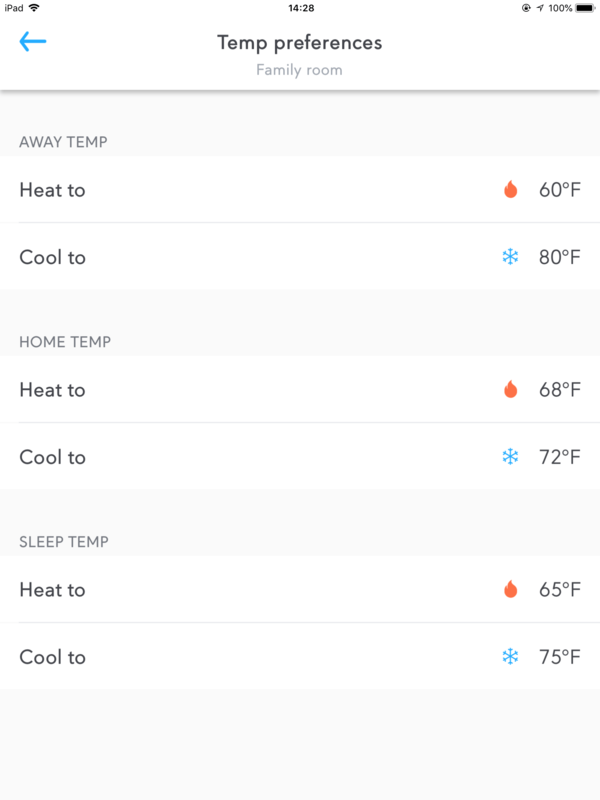 Pairing is a simple task requiring you to generate a numeric key on the thermostat’s Settings menu, which is then entered in the app. We found the connection to be mostly seamless, although we did notice the iOS app directed us to the wrong area of the Settings menu for key generation. That aside, we found touch controls to be smooth and responsive on both the app and the device itself, with Qualcomm’s specialized IoT processor powering slick, on-screen animations and speedy transitions. The neat user interface design boasts simplicity and utility, allowing easy control without a steep learning curve. 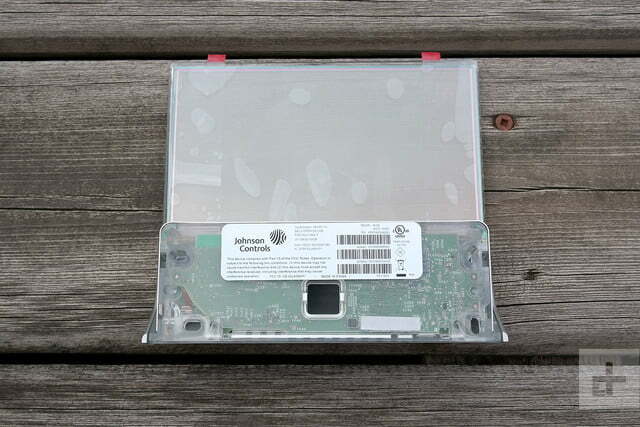 Occasional bugs and crashes dogged the Glas and its app for a few months; some reviewers documented it dropping off of the Wi-Fi network, which required a manual reconnection — not good for a device you might choose to install at a vacation house. A new version of the software released in mid November for Android (and shortly for iOS) cleans up these issues, Johnson Controls told Digital Trends. It’s still a little slow to connect, however. Once you’ve worked through the (many) steps required to get up and running with Cortana, her familiar voice can be heard from GLAS’ integrated speaker. Configuration is clunkier than it really needs to be. Having already created one account for the thermostat, you’ll then need to enter additional Microsoft account details to set up voice control — one too many layers of security, in our view. The join between the GLAS native UI and Microsoft’s account setup, which is pulled from the Internet, is a little scrappy too. The on-screen keyboard is positioned directly over the text box in which you need to type your credentials. 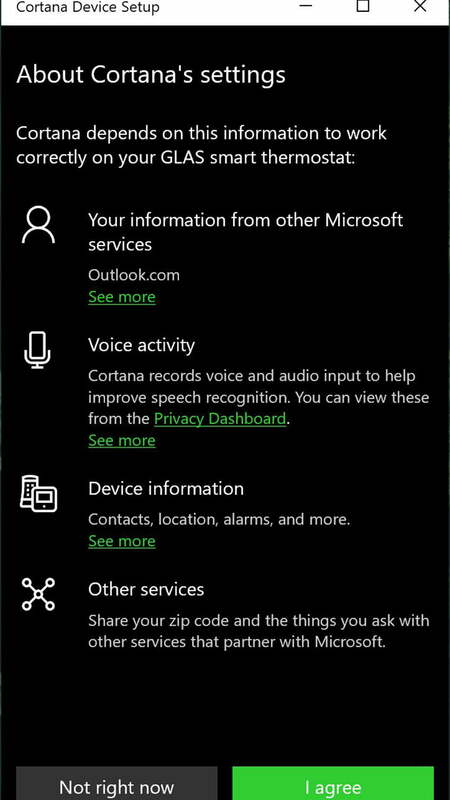 After setting up Cortana on the thermostat, you’re then directed to the Cortana app on your phone or PC to finish up. 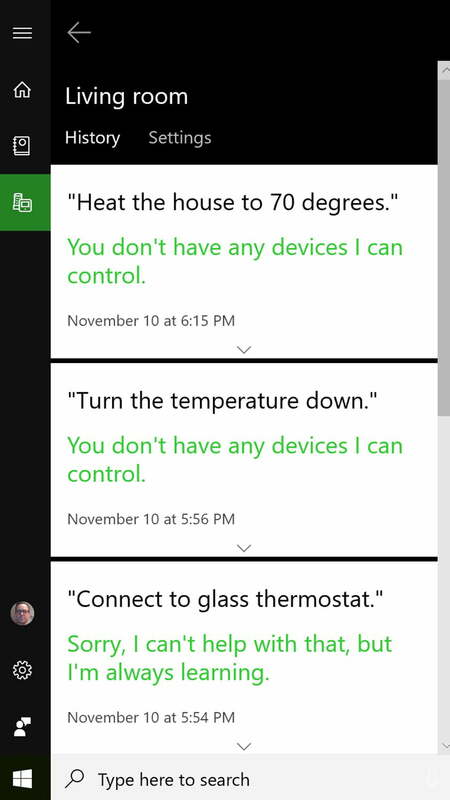 Just when you think Cortana’s ready to heat up your home, she then prompts you to set up a required connected home skill. Or is supposed to, anyway. For our installation, she didn’t ask — leaving us asking the thermostat questions and having it reply that no thermostat was available. If Cortana still doesn’t work, Johnson Controls tells us that disabling and re-enabling the Enable Connected Home switch in Cortana’s Notebook can fix things. This helped us get her up and running. 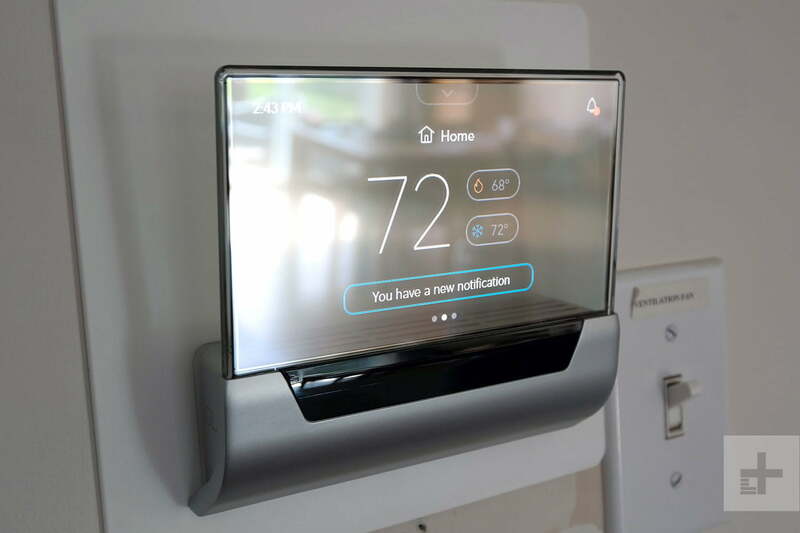 At launch in August, temperature control through Cortana was only available in the United States, although Johnson Controls told us that the thermostat will be coming to Canada in the coming months. In mid-November, three months later, Cortana is still only available on Glas in the U.S. As our initial testing of the device was performed in Canada, we were at first unable to test the full suite of Cortana commands, but we found that standard features, such as weather and news reports, calendar queries, and general questions all worked well. In subsequent testing in the U.S., we encountered setup bugs and complications that had us throwing our hands up in the air. Sure, it worked in the end. Was it worth it in the end? Maybe not. GLAS’ integrated microphone also did a great job of picking up quiet voices, even when audio was playing. Unfortunately, as you’d expect from such a compact device, the integrated speaker lacks quality, with tinny audio that grates after just a short time. In case you’re thinking of using the thermostat as an additional audio player, music streaming isn’t available through Cortana on GLAS — and that’s probably for the best. Using Google Home, voice commands were clearly understood, with GLAS responding almost instantly. An Alexa skill is also available for Amazon Echo devices so, whichever assistant you favor, GLAS will happily play along. With three or, in some case, four generations of product development completed, category leaders like Nest and Ecobee have built out a comprehensive assortment of third-party partnerships that see their thermostats work with smart lights, cameras, door locks, and so on. While it lacks the versatility of the best thermostats, with Cortana on board, GLAS is able to control an extended, if not exhaustive, array of devices. 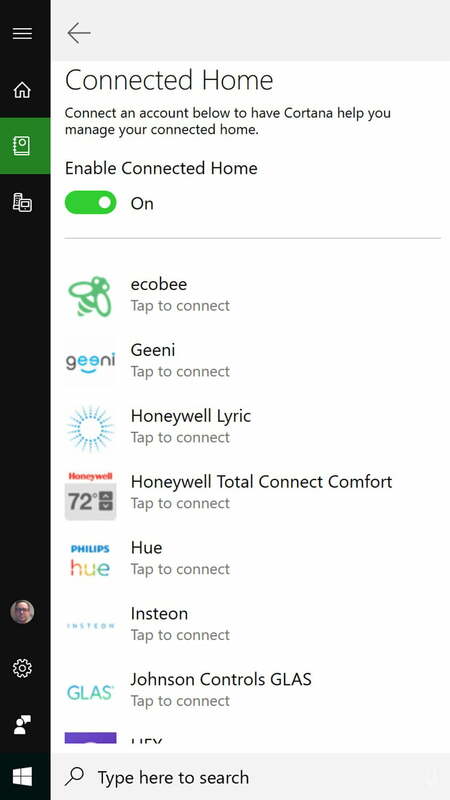 They include those connected to Wink and SmartThings hubs, Philips Hue and LIFX lights, devices from Honeywell, Insteon, TP-Link, and others. A recently announced partnership with Amazon should see an increase in the number of skills available to Cortana, albeit incurring some additional complexity. 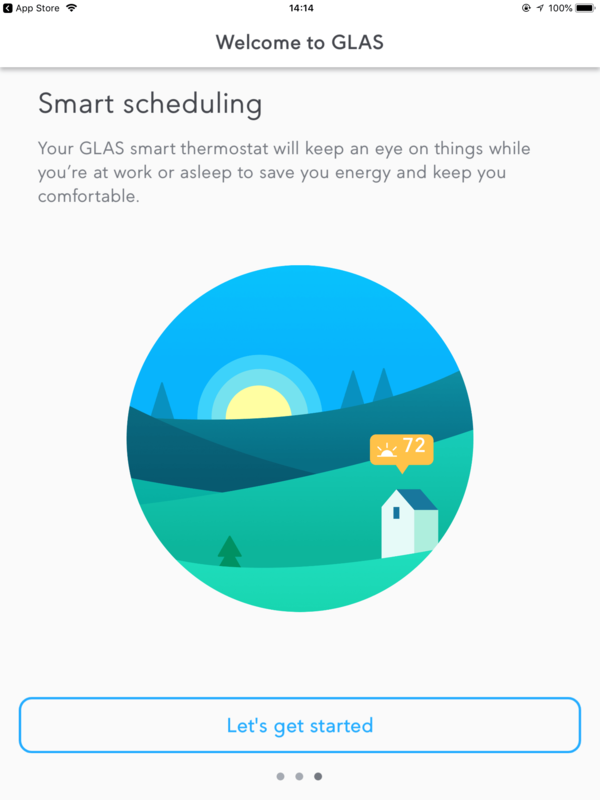 Glas is supported by a two-year limited warranty, which is similar to the Nest Learning Thermostat, but behind Ecobee’s 3-year protection. 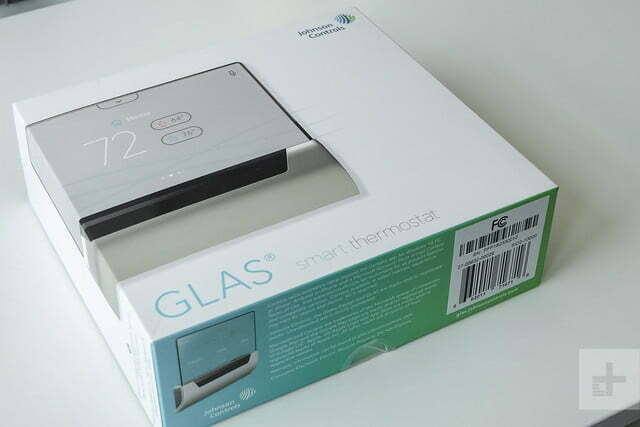 With capable budget devices like Nest Thermostat E available for $169, a price tag of almost $320 for GLAS is a problem. It is, undoubtedly, a great-looking device – the prettiest thermostat we’ve reviewed in quite some time. But at this point, GLAS lacks some of the versatility offered by competitors and the addition of Cortana does little to justify its premium. If you like the sound of a smart thermostat with integrated voice control, take a look at Ecobee 4. It’s design lacks GLAS’ wow factor, but with remote temperature sensors, Amazon Alexa on-board and a price tag under $250, it’s a smarter choice for all but the most ardent Microsoft enthusiasts. The $169 Nest Learning Thermostat E is a fantastic choice for bargain hunters, while the third-generation Nest Learning Thermostat, priced at $249, remains a great pick and has been recently enhanced with remote temperature sensors. 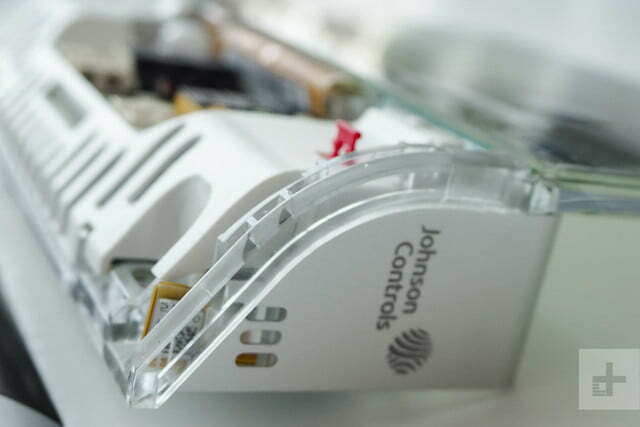 Johnson Controls has been in the thermostat game for over a century, and while it isn’t the first brand you think of when considering the smart home, it’s a solid pick for HVAC. Microsoft has a track record of launching and subsequently abandoning consumer technologies, so Cortana’s lack of traction is a worry. 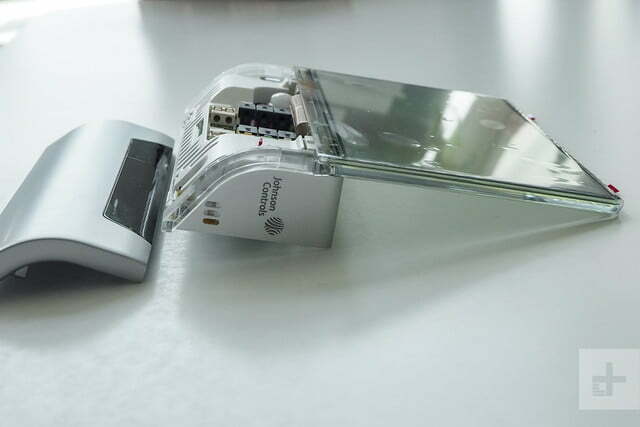 Fortunately, Johnson Controls has taken the wise step of adding both Amazon Alexa and Google Assistant support to GLAS, which should reinforce its longevity. While GLAS looks every inch like the smart thermostat we used to dream of, the inclusion of Cortana does little to elevate the device over cheaper and more versatile competitors. If you’re into Cortana and good looks, and are willing to pay for those things, then go for it. 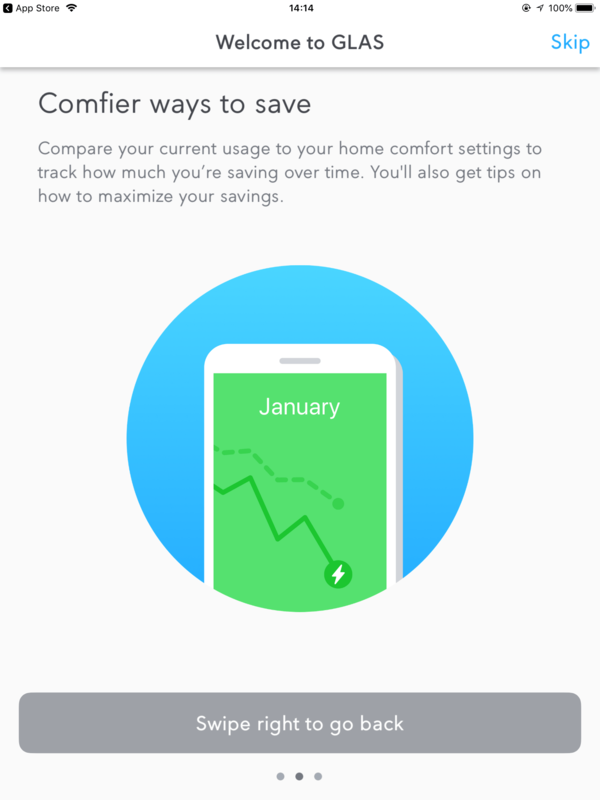 If you’re looking for a smart thermostat that costs less, go elsewhere. Updated November 13, 2018 with screenshots from the Cortana app, notes on use of the voice assistant, and details about crashes and a new version of the app that addresses them.